I graduated from JUST with a Bachelor Degree in Industrial Engineering with an average of 79.9. I then worked in the public and private sectors where I took on many tasks in positions such as planning and production engineer, human resource officer and operational and quality assurance officer at one of the ministries. I have more than 4 years of professional work experience. As for my future, I see myself as a doctor at a university who inspires others like I was inspired by my doctor (Omar Araideh). This dream can only be accomplished if I continue my higher education. One of the reasons that push me to achieve this dream is my modest experience at university where I was a team player who made sure my classmates received academic support from me. 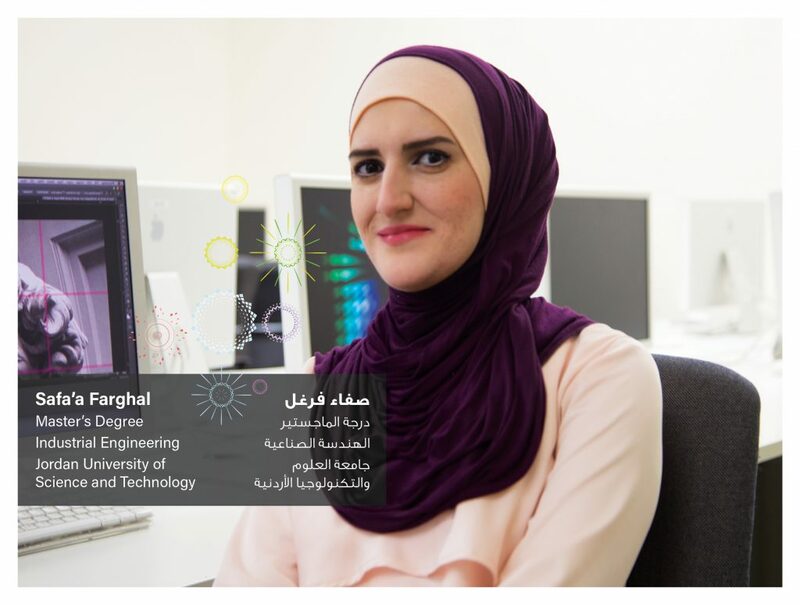 As for my scientific achievements, I excelled in various work positions because of the skills and analytical method I gained during my studies. Yet, I was not satisfied with my achievements so I made sure to enhance my performance level by registering for English courses, life coach courses (communication skills and time management and change), specialized courses (ISO system, internal auditing, quality assurance management, professional project management). It is because of the European Union scholarship that I was able to enroll in the Industrial Engineering Master’s program.